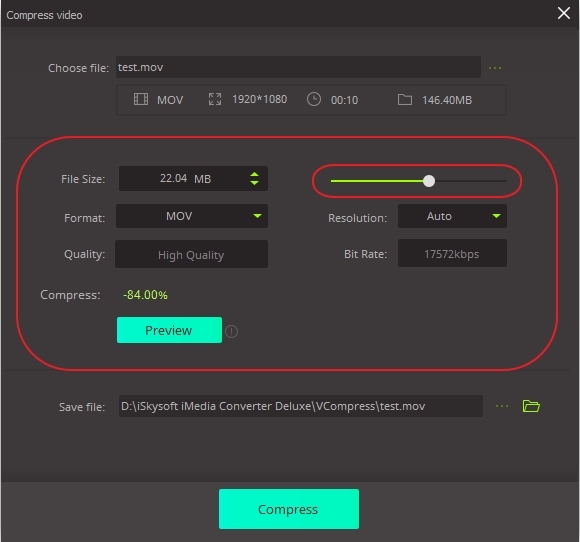 How to compress a video? Easy! iSkysoft Video Converter for Mac has come up with a new feature to reduce video size flexibly. 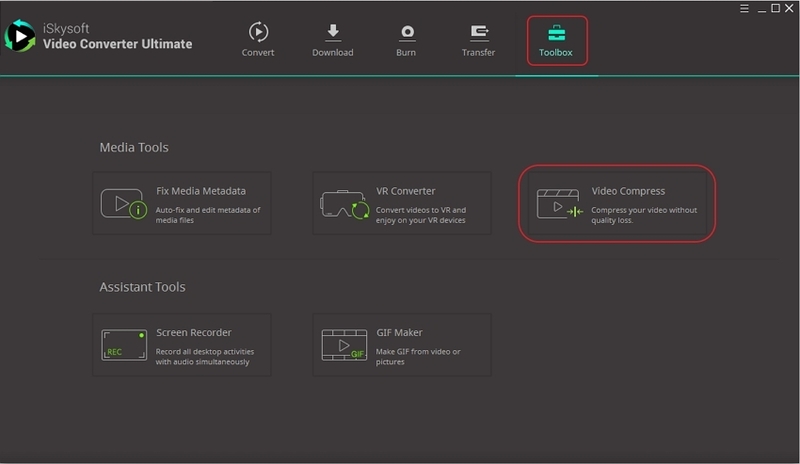 With it you can reset the video resolution, file size, quality, bit rate, and output format. Follow the step-by-step tutorial below to compress MP4, MOV, AVI, VOB or other formats with this video compressor. Install and Launch iSkysoft Video Converter for Mac. 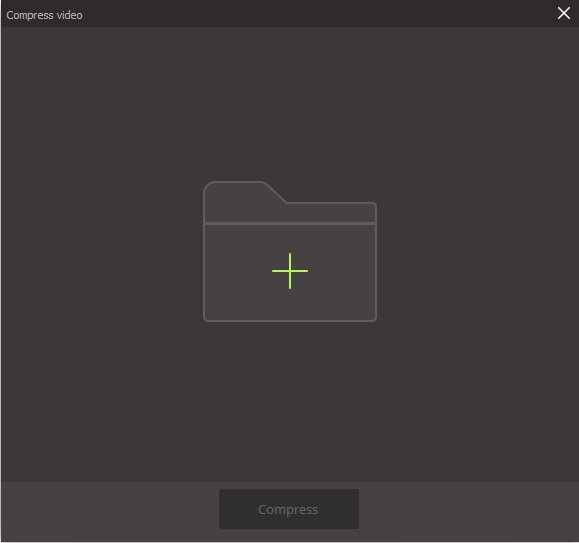 Click Toolbox > Video Compress. You will get a pop-up window, where you can add the video that you want to compress. Click the “+” icon to locate the video on your Mac. Then hit the Compress button to proceed. When you add the video to it, a Compress video window will show up. You can see the original info of your video. Now compress the video by dragging the compressing bar. The parameters will change as you move the bar. You can see the dynamic information including file size, bit rate and compress rate. Alternatively, you can adjust the video size and resolution manually. Click the Preview button the preview the compressed video for 20 seconds. When you are satisfied with it, set the Save file address on Mac and hit on the Compress button. It will take a few seconds to resize video according to your settings!